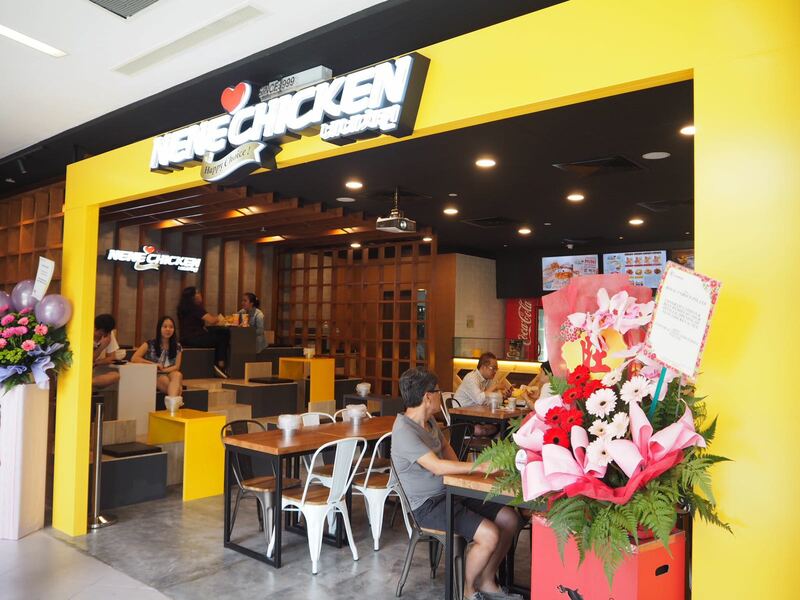 Nene Chicken | NEW OUTLET: NEX! Korea NeNe Chicken has specially designed this outlet and they have incorporated an important culture of enjoying Korean Fried Chicken; and that is enjoying fried chicken on the steps overlooking Han River in Seoul. Friends, lovers and family enjoy ordering friend chicken and having a picnic beside the river to enjoy the scenery, enjoy the cool breeze and have a good time. With over 1000 outlets in Korea and 7 in Singapore, this is the first ever outlet to let fans enjoy this experience. 6 pairs of steps sitting is created on the left side of the outlet and fans sitting on the steps area will be able to enjoy various MVs and behind the scene videos that will be projected onto a large wall on the right of the outlet. There will also be 26 normal sittings around the outlet, bring the total number of sitting in the outlet to be 38.